What does Fadel mean, details, origin, short & easy attributes? Fadel pronunciation in 20 different native languages. Fadel Name Meaning. Muslim: from a personal name based on Arabic fa?dil 'virtuous', 'generous', 'excellent'. Fadel is baby boy name mainly popular in Muslim religion and its main origin is Arabic. Fadel name meanings is Excellent. 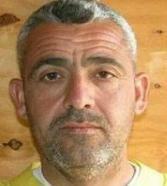 People search this name as Fadel. Fadel is written in Urdu, Hindi, Arabic, Bangla as فدیل, फदल, فاضل, ফাদেল. Other similar sounding names can be Fadee, Fadhiil, Fadhl, Fadhlullah, Fadi, Fadil, Fadl, Fadl allah, Fadlallah, Fadlullah, Fady, Fadah, Fadeelah, Fadheela, Fadhila, Fadia, Fadila, Fadilah, Fadiya, Fadiyah. Each letter meanings in Fadel Name. You probably have google this question: My baby name is Fadel and how can I combine the name Fadel with other names and create unique & new name? We tried to suggest Fadel name combinations. You can see how it looks the name Fadel as first name or Fadel as last name. You can combine the middle name for Fadel and create a unique name. Popular personalities with Fadel Name. Fadel was born in Iraq. Fadel is also known as Haji Mutazz. He left this life on August 18th, 2015. Fadel was born on March 27th, 1984. He passed away on April 16th, 2008. Fadel Muhammad Alhaddar is a Minister of Maritime and Fisheries of Indonesia. Fadel was born on May 20th, 1952 in Ternate. 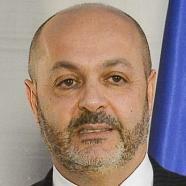 Fadel Benyaich is an Ambassador of Morocco to Spain and Senior member of the Royal Cabinet. Fadel was born in 1963 in Rabat. Fadel Keita is a soccer player for the SC Feignies, Africa Sports d'Abidjan, Caykur Rizespor, Al-Nassr FC, and Ivory Coast national football team. Fadel was born on July 5th, 1977 in Gagnoa. His military service ended in 2001. 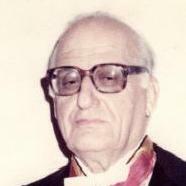 Fadel was born in 1945. He breathed his last breath in 2010. Robert was born on January 12th, 1970 in Tripoli, Lebanon. Leila Fadel is a journalist. Leila was born in 1981. Mounir was born on June 5th, 1912 in Ain Aanoub. He died on January 29th, 1987. Mohamed Kamal Fadel is a diplomat. Omar Fadel is a musician. He has had major accomplishments since 2006. Omar was born in 1977 in Houston.